Give your customers a more consistent network experience than what internet-based connections offer. 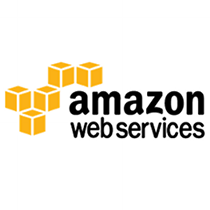 Establish private connectivity between AWS and your data centre, office, or colocation environment, while reducing network costs and increasing your bandwidth throughput. With Azure™ ExpressRoute, you can create private connections between Azure data centres and infrastructure – whether on your premises, or in a colocation environment. We enable your enterprise to move over to hybrid platform with confidence. Azure™ ExpressRoute offers greater reliability, faster speeds, lower latencies and higher security. Create a better customer experience. Connect your infrastructure to the Google Cloud Platform via enterprise-grade connections so you can build, test and deploy applications on a highly scalable and reliable infrastructure. IBM Cloud Direct Link helps ensure rapid, secure transfer of sensitive data across all corners of the globe. With a dedicated network connection together with IZO™ Private Connect, your transfer rates are fast, consistent and reliable. Experience an integrated CRM solution with end-to-end management which will help you improve customer experience and boost your business performance. Alibaba Cloud Express Connect is a convenient and efficient network service. IZO™ Private Connect brings global VPN users to Alibaba Cloud Express. Connect through fast, stable, secure and private or dedicated network communication between different cloud environments, including VPC intranet intercommunication and dedicated leased line connection across regions and users. FastConnect Classic address the unpredictable nature of the Internet which affects migration to a cloud service. With our joint solution, you can create a high-speed, dedicated, secure and low-latency extension from your corporate network to Oracle Cloud solutions. [Article] SD WAN - is it right for your network? PDF [Article] SD WAN - is it right for your network?